Take advantage of this RARE opportunity to own an incredibly distinctive showplace built on one of the largest sites in Stone Harbor! This spectacular 90x110 site is ideally located in a quiet residential neighborhood, just over one block to beautiful beaches and only a few blocks into town, Chelsea Place Park and the Public Recreation area! Creatively designed by Blaine Steinman Architects, this is another First Class home by Ryan Development Group! You'll appreciate the extra-large room sizes and abundant outdoor entertaining area highlighted by sprawling shaded and sun decks and an oversized 14x36 pool with large attached spa! 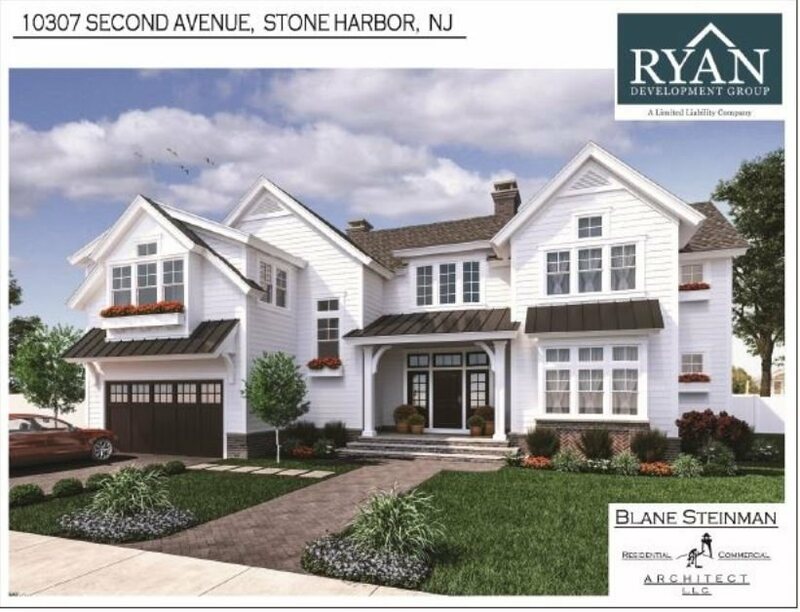 The huge site yields an impressive design that is not possible with the common 50x110 and 60x110 lots - and the resulting 4,300 square foot home is substantially larger than other homes in Stone Harbor that are built on those common lot sizes. THIS is your opportunity to have â8â bedrooms â currently there are no homes For Sale in Stone Harbor offering 8 bedrooms and only 2 homes For Sale in Avalon with 8 bedrooms! Envision the convenience of having the Master Suite and the Living/Dining/Kitchen Area on the first floor of the home...there's plenty of room for family, friends & entertaining in the 43 foot wide Living/Dining/Kitchen area, which is about 50% wider than those that you may have seen in town! You'll appreciate the 3 fireplaces, 2 car garage, extraordinarily large decks, and a mesmerizing, resort-like outdoor entertaining area with a cabana AND exceptionally large pool with spaâ¦the NET result â a breathtaking retreat to comfortably accommodate the largest of families and superb entertaining space! The Floor Plan features 8 ensuite bedrooms, Living Areas on both the first & second floor, 2 Powder Rooms and 2 Laundry areas. There will be impressive 9 foot high ceilings throughout the first floor, with the Living/Dining/Kitchen area seamlessly transitioning from interior luxury to outdoor covered porches, bar area and a fabulous rear yard oasis!